DES MOINES – Five Iowa Great Places have been awarded $1.3 million in grants for projects in their communities, including Madison County’s fire-damaged Cedar Covered Bridge. Renovation of the historic Harvester II building in Council Bluffs. Construction of a trail bridge in the Turkey River Recreational Corridor near Elgin. Redevelopment of the Wapsipinicon River Scenic Overlook in Linn County. Phase II development of Trestle Park in Manning. The Iowa Great Places program recognizes and partners with Iowans who cultivate the unique and authentic qualities of their local places, such as neighborhoods, districts or regions, to make them great places to live and work. Iowa’s Great Places receive access to funding opportunities, professional development training, technical assistance opportunities, a network of vibrant communities and passionate leaders, and other state and local resources. Summary: Pinicon Ridge Park is a regional destination for nature and outdoor recreation enthusiasts. The park serves as an anchor at the north end of the Cedar-Wapsi Recreational Byway and is a popular destination for outdoor recreation activities. The park annually attracts more than 350,000 visitors and contributes up to $8.7 million to the local economy. This pivotal project redevelops the site of a former park shop facility into a scenic overlook for public use. The park shop activities were relocated in 2016 and the buildings removed from the site, making available a high-profile location for park development. The project will provide a 9,400-square-foot open shelter that contains a 2,300-square-foot deck and patio area, which is the centerpiece of the development plan. The building is designed for up to 300 people and will offer serving counters and tables as well as six accessible and modern restrooms. The large gathering space will support large group functions, such as family and class reunions, picnics, anniversaries, graduations and weddings. The building and deck location along the ridge top offers a breathtaking view of the Wapsipinicon River. For more information, contact Dan Biechler, Director Linn County Conservation Board at 319-892-6450. Summary: Pottawattamie Art, Culture & Entertainment seeks to renovate the historic Harvester II building in Council Bluffs into a 50,400-square-foot arts and culture center offering art programs for all ages but especially low-income youth. Renovation includes the addition of a 245-seat theater that will be shared by American Midwest Ballet, the Chanticleer Theater, the Kitchen Council, community partners and arts education programs. The facility will serve as a home for its umbrella arts and culture organization, which works to streamline fundraising, marketing, archiving, volunteer services and more for partnering arts organizations in Pottawattamie County. For more information, contact Judy Davis, executive director, Pottawattamie Arts, Culture & Entertainment at 402-679-0826. Summary: On April 15, 2017, one of Madison County’s world-famous covered bridges was destroyed by arson. The Cedar Covered Bridge was a significant tourism asset, serving as the bridge on the cover of Robert Waller’s novel, “The Bridges of Madison County,” as well as the site for Oprah Winfrey’s visit to Madison County in 1993, plus countless weddings, photography sessions and community celebrations. Additionally, Cedar Bridge is a featured attraction along the newly designated Covered Bridges Byway, which is part of the Iowa Scenic Byways program administered by the Iowa Department of Transportation. Madison County’s covered bridges hold considerable local significance and attract national and worldwide attention. 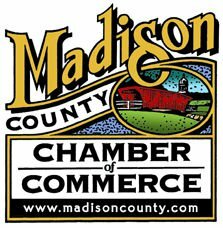 For more information, contact Heather Riley, executive director, Madison County Chamber of Commerce at 515-462-1185. Summary: In 2014, Manning created a Trestle Park Plan as part of its successful Great Places application in 2015. The new park revolves around a 102-year-old historic railroad trestle that is a local icon and is quickly becoming a state icon. Crews have already completed most of Phase I, which included removing the former feed mill on the property, building a shelter house and installing a train-themed informational kiosk, trail, road, parking, lighting, and a large “IOWA” sculpture that has quickly become a favorite place for photographs. The natural play area is just starting to be developed. Project leaders are working with Iowa State University on concepts for public art, providing specific instructions to students to design art pieces that were interactive or served an additional purpose. The goal of Phase II is to further develop the park into a unique experience for both locals and visitors by using nontraditional items. For more information, contact Dawn Meyer, city clerk/administrator, at 712-655-2176. For more information, contact Mallory Hanson, director, at 563-864-7112. This year, the Iowa Department of Cultural Affairs received applications from 14 Iowa Great Places projects seeking more than $3 million. Funding for the Iowa Great Places program is provided by an annual appropriation from the Iowa Legislature through the Rebuild Iowa Infrastructure Fund. The program is administered by the Iowa Arts Council, a division of the Iowa Department of Cultural Affairs, in collaboration with the Iowa Great Places Citizens Advisory Board. More information is available at iowaculture.gov or 515-281-5111. The Iowa Department of Cultural Affairs and its three divisions – the Iowa Arts Council, Produce Iowa – State Office of Media Production, and the State Historical Society of Iowa – empower Iowa to build and sustain culturally vibrant communities by connecting Iowans to thepeople, places and points of pride that define our state. The department’s work enables Iowa to be recognized as a state that fosters creativity and serves as a catalyst for innovation where the stories of Iowa are preserved and communicated to connect past, present and future generations. Visit iowaculture.gov for more details.